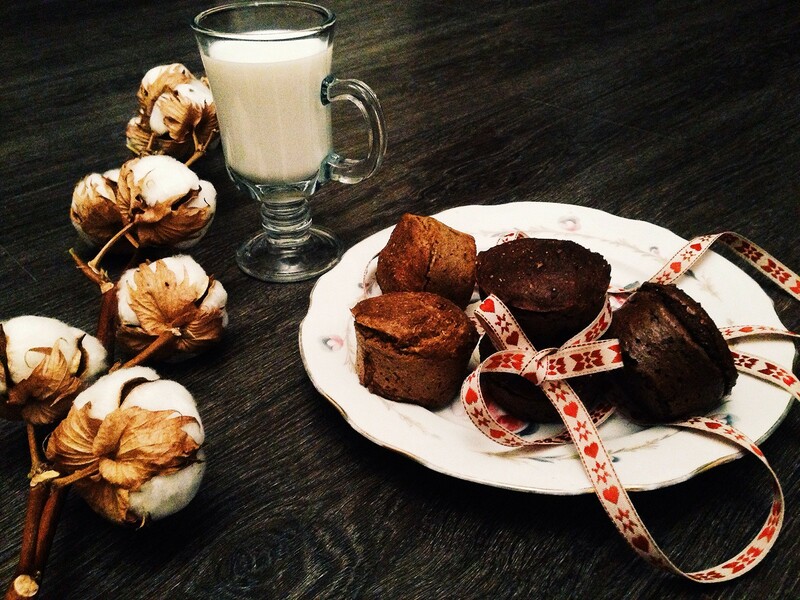 Dietary chocolate cupcakes from flax meal - delicious! A few years ago I was seriously puzzled with the question of proper nutrition. I read up on the subject a whole bunch of the literature conducted himself some "educational program", so to speak. As a result, I learned many new things, abandoned a number of products in their daily diet (left high-quality proteins, complex carbohydrates and removing the "bad" fats, snacks, and snacks such as sandwiches, and other "fast" carbohydrates). Revised diet - reduced portions and participation meals (4-6 times a day, if possible). Thus, slowly but surely, I lost 13 kg. Frankly, such a result, I was struck, and a proper diet and a sense of lightness has entered such a habit that all the dishes (I mean everyday) I'm used to "opoleznivat" as much as possible. Now my credo in the kitchen to prepare a delicious, useful and not complicating. Of course, I like and complex dishes, holidays and even those that are best prepared according to original recipes (eg cakes, muffins, pies - but most do not bake them for himself, and for close :). Today I propose to prepare a dietetic chocolate orange cupcakes from flax and oat flour. I have to say that the consistency obtained muffins moist and very tender inside, they are something even resemble pudding cupcakes (those that do in a water bath). Baking of flax flour is rich in fiber, vegetable protein, polyunsaturated fatty acids, folic acid, vitamins B1, B2 and B6, antioxidants, potassium, magnesium, zinc. What is particularly nice meal does not have a specific sharp taste (it is neutral), and in combination with cocoa powder and orange zest - it's just the bomb! cane sugar / stevia / syrups - to taste (*I use + stevia agave syrup). Turn on the oven to heat up (180 deg.). To add the milk curd. Mix blender until smooth. Add flax flour and mix again. Half of apple peel, rub on a grater, send the dough. Thoroughly grind all the blender to puree the state. Add the oatmeal, bran, egg. Stir the dough. Then add the cocoa, sugar or stevia taste and worn on the smallest grater orange zest. All mix thoroughly, lay on formochkam (I have silicone, and if you have any other - do not forget grease) And send it in the oven minutes 40-45. Cool before serving! And Bon Appetit!